Friendly Folk Records: Always a good time at Goed Folk Radio! Always a good time at Goed Folk Radio! June 22, 2018 we return to radio show hosts Marcel and Marjolein at Goed Folk Radio for an interview with Jyoti Verhoeff, and naturally, several tracks from her upcoming album, 'Touches-I speak with my mouth shut' which will be released via Friendly Folk Records in September/2018. 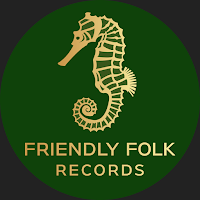 Also in the studio, Kathy Keller (Owner/CEO of Friendly Folk Records and My Music Matters Management Triad) with updates of our Artists...and naturally lots of great folk music. Podcast available 1/July/2018, click HERE. If you missed the Goed Folk Radio live music and interview show with Max Bianco last month, tune in to this Podcast by clicking HERE!